We are presenting you one of the most impressive Sari to enrich your feminine elegance. It assures to keep you spotting and alluring in occasion you enter. This ink Colored Beautiful Cotton Silk Saree With Heavy Embroidered Pallu gives you a perfect look for any occasion. 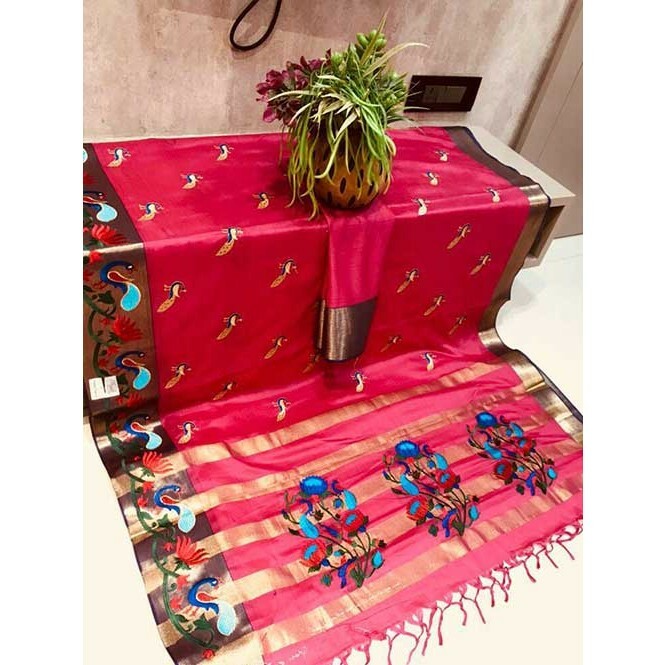 This sari has beautiful design work with bright colour essence and also includes latest fashion trends. Beautiful floral design with different colour combination makes this sari a perfect one for your wardrobe. This sari represents Indian culture with latest fashion trends. 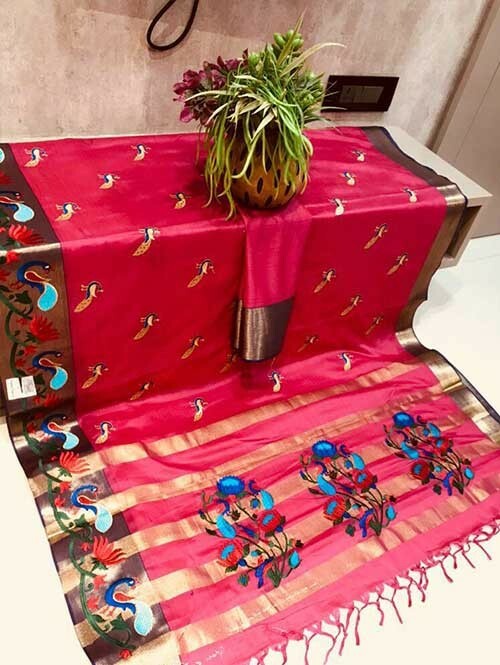 Beautiful Colored Cotton Silk Saree.